Bilaspur is regarded as a travelers’ paradise as it is one of the most beautiful places in Himachal Pradesh with gorgeous snowy peaks, fast flowing rivers, deep gorges, surreal mountain lakes, lush green valleys, flowered meadows, beautiful temples and monasteries. It is a place one can go to for sightseeing, trekking, paragliding, skiing, skating as well as playing golf. This place echoes of the past. Once, it had been submerged in the Gobind Sagar Lake. Bilaspur is said to be the first planned hill town of India. Listed below are some of the most visited places of Bilaspur. Gobind Sagar lake is one of the major tourist attractions of Bilaspur. It is an artificial lake built for the Bhakra Nangal Dam. Encircled by hills, this lake would give you a sense of calmness and peacefulness. It offers a wide range of water sports like boating, kayaking, zorbing, motor boat racing and so on. The water level is the highest during the months of October and November. The department of Tourism and Civil Aviation organize regattas here during these months. Fishing is also allowed here and is one of the prime activities of the lake. It is situated at the Bhakra village of Bilaspur. 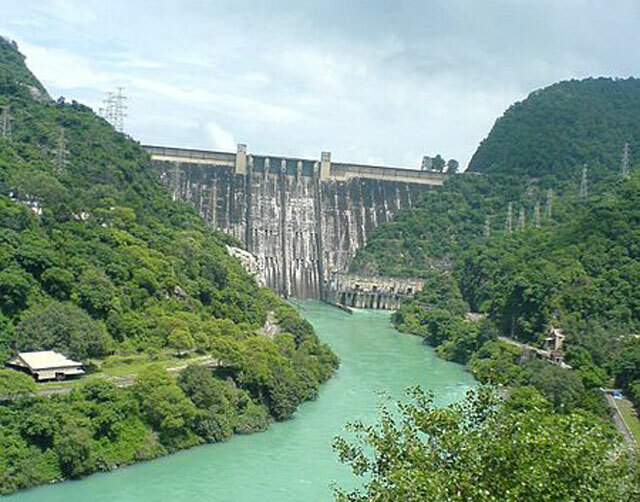 Bhakra dam is the highest straight gravity dams of the world. 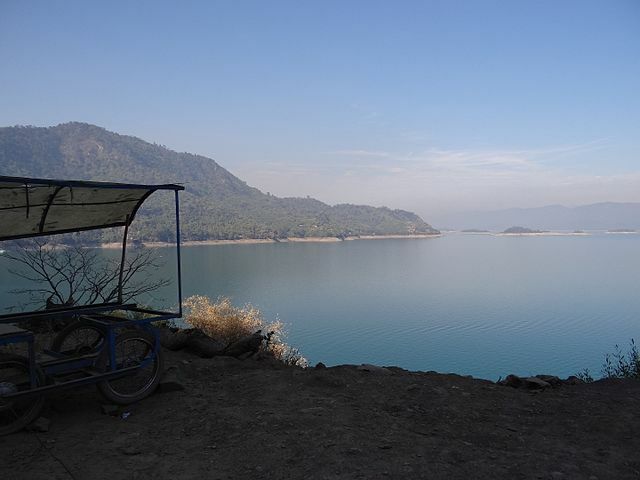 The Gobind Sagar Lake was artificially constructed to feed this dam. The lake stretches over an area of 90 km which includes the 10 percent of the Una district. The other 90 percent lies within Bilaspur itself. This dam was dedicated to India by the late Pandit Jwahar Lal Nehru. The beauty of the dam and the green lush surrounding it is definitely a treat to one’s eyes. As the name might suggest, Vyas cave has a connection with Sage Vyas. It is located in the new township. Legends have it that Vyas Rishi had once meditated in this very cave. It is said that the town of Vyaspur derived its name from this cave. Vyas Rishi is the same saint who has penned down the story of the epic Mahabharata. This cave is a place of pilgrimage. This fort is located at a distance of 58 km from the new township of Bilaspur. It is situated at a height of 1500 m above sea level. Sarium Fort is approximately 12 m high. It is made out of stones. The local people believe in some superstitions according to which the stones used in the fort shall never be used to build any house. Situated at the top of the hill named Bahadurpur, the fort is about 40 kms away from the town of Bilaspur. These ranges are beautifully decorated with deodar and ban trees. Just 6 km above from this place, one can see the Ratanpur Fort, Swarghat, Fatehpur Fort, the Naina Devi hill, the plains near Ropar and the mountains of Shimla. This fort was built before 1835 but unfortunately, it now lies in ruins. Though Bilaspur can be visited throughout the year, the best time would be during the winters. During this time, the climate is comfortable and ideal for sightseeing. One must carry woolens during winters. The best months to be here would be between October and March.